One thing is for certain when it comes to buying a house – you will never be alone on your journey. 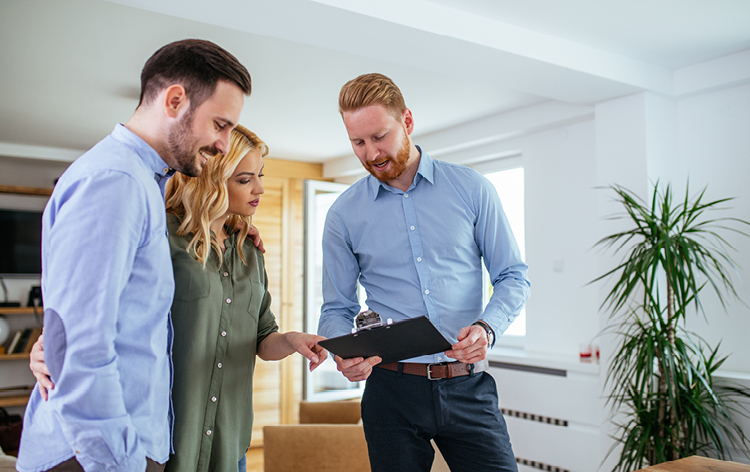 You’ll encounter many individuals along the way with plenty of professional experience under their belts to help guide you along toward becoming a homeowner. 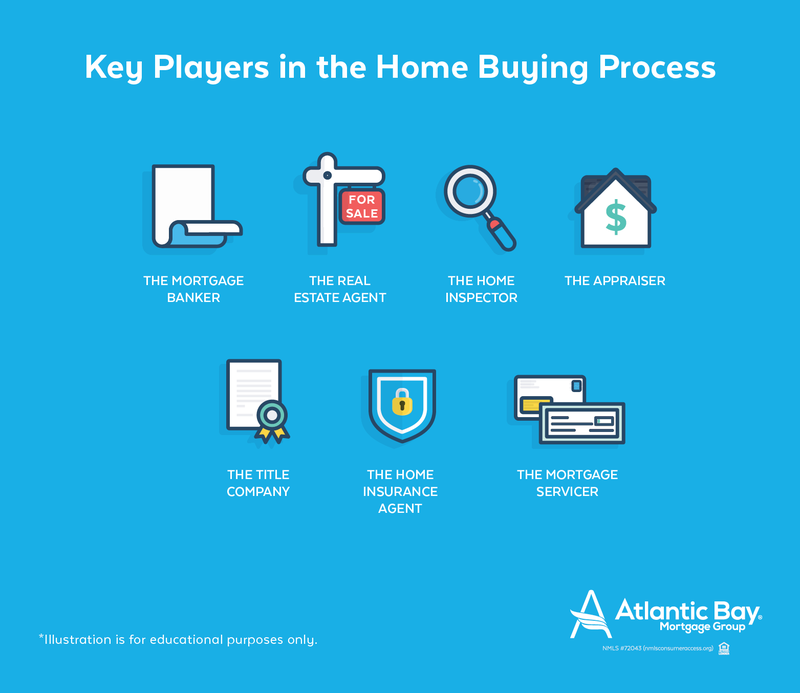 The process may seem intimidating, but with so many experts ready to help you, you’ll soon realize how beneficial each of their roles is within the home buying process. Now, you may be wondering who these people are – below, we’ll highlight all of the key players and the roles they’ll play in your home buying journey. Your mortgage lender may not be one person specifically, but rather an institution that finances your mortgage. This could be an independent lender, a credit union, or a bank. It’s up to you to decide which lender you’d like to work with, so feel free to meet with several and choose the one that fits your needs best. From there, you’ll work with a specific individual – a mortgage banker – throughout the process of obtaining your home loan. 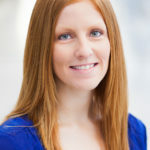 This is the person you’ll contact with all questions related to the financial side of home buying and they will help you determine how much you can afford and walk you through the application process. Another vital player in the home buying game is your real estate agent. He or she will be your lifeline from the beginning and will listen to your wants and needs in order to help you find the home that’s perfect for you. In my own home buying experience, my husband and I lucked out and found real estate agents who not only meshed well with our personalities, but went above and beyond to ensure we found the right homes for the phase of life we were in at the time and acted as our advocate before, during and after we closed on the home. A home inspection is a smart idea, no matter the age of your future home. While voluntary, getting the home inspected can protect you from purchasing a house that has expensive underlying issues that you may not see during a walkthrough. An inspector will carefully check the home’s structure, electrical, HVAC, plumbing, roofing and more and provide you with a report detailing the findings. The outcome of the inspection could impact your decision to buy the home, or at the very least, ask the seller to repair any issues before moving forward with the transaction. This is a critical role in the home buying process – your appraiser is the one who will ensure that you aren’t overpaying for the property. He or she will review the condition of the home and compare it with similar home sales in the area to come up with a fair market value. The title company will conduct a title search to review public records for your property and will ensure there are no issues that get in the way of the home sale. Things they look for include overdue taxes, zoning restrictions or liens against the property that would prevent you from obtaining a ‘clean title.’ Your title company will also schedule your closing date and will facilitate the actual event, from providing necessary documents to collecting closing costs and ensuring your new home’s title records are properly filed. Homeowner’s insurance is a requirement when obtaining a mortgage and it will financially protect you and your home if disaster strikes. It will be up to you to shop around and find the best insurance policy for your needs, so it’s a good idea to begin researching your options as soon as possible after submitting your mortgage application. You most likely won’t need to keep in touch with the key players in the home buying process after closing on your new home – with the exception of your mortgage servicer. This is the financial institution that will handle the day-to-day management of your mortgage, such as payment processing, record-keeping, ensuring your taxes and insurance are paid (from your escrow account) and of course, offering you customer service. The mortgage servicer may or may not be the same as your lender – often, mortgage lenders will sell your loan to a mortgage servicer upon closing since they may lack the resources to service all loans they originate. 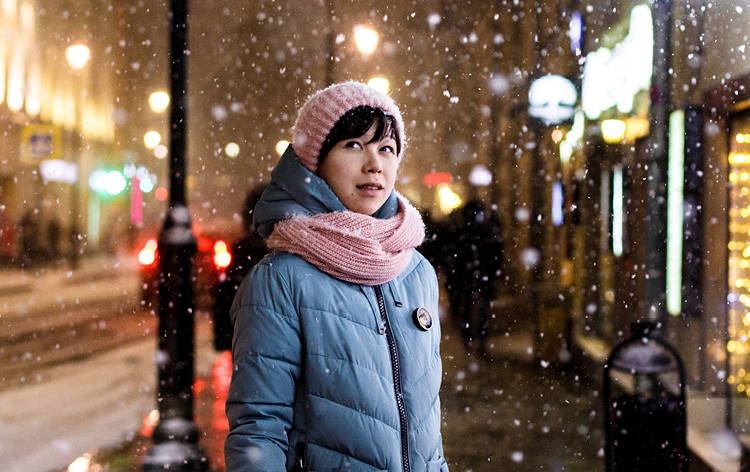 If this is the case, you’ll receive information well ahead of time alerting you to the change. These are the essential players in the home buying game, but of course, you may encounter others throughout your journey. Both your mortgage lender and real estate agent are great resources for your questions about the process of buying a house and will be there to walk you through each step, so you’ll never be on your own. 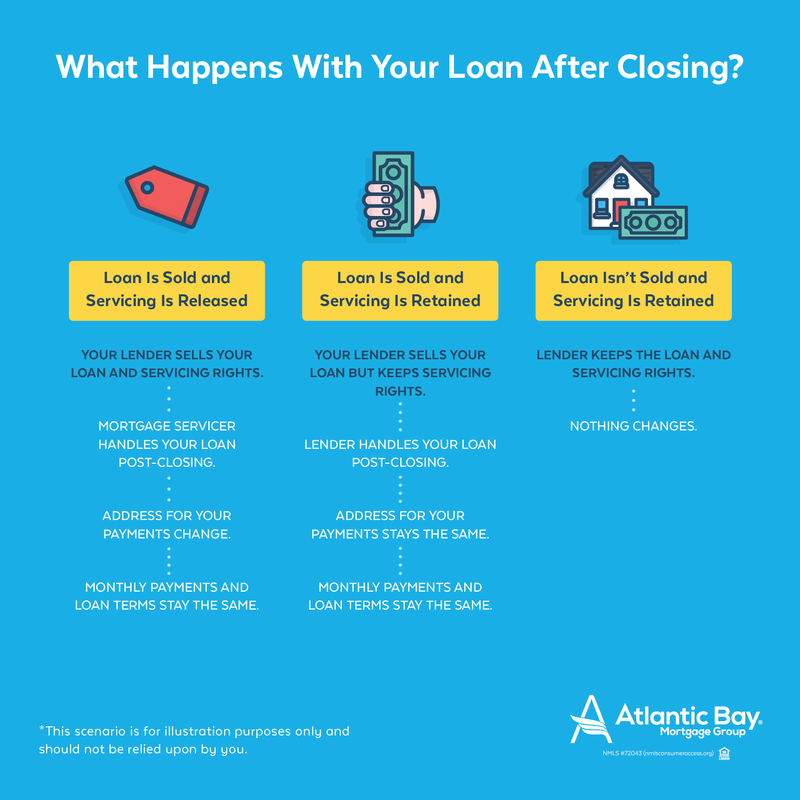 For more information about the mortgage process, check out the Atlantic Bay blog.